Boston University’s independent student newspaper, the Daily Free Press, reports that the Boston Transportation Department is now accepting applications for it s upcoming 2017 Neighborhood Slow Streets Program. The intention is to implement traffic calming measures that will help bolster road safety in residential areas, which could be especially beneficial for people on bikes. A spokeswoman for the transportation department explained that the program uses a number of different approaches to help reduce the overall speed of traffic, which in turn curbs the danger. 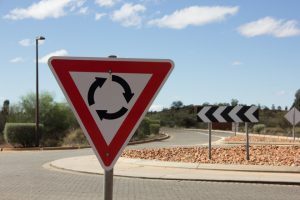 For example, physical cues may include speed humps, traffic circles or narrower lanes, while visual cues might use include posted signs or strategic landscaping. The program first began in the city last year, with the pilot focused primarily on two areas. Those two areas are Stonybrook in Jamaica Plain and the Talbot-Norfolk Triangle in Dorchester. The physical improvements in these areas should be in place by next year. Residents in other neighborhoods who want to see similar improvements where they live may fill out an application for consideration with the transportation department, which will then weigh a series of criteria, such as crash history in that area, the number of children and older adults in the neighborhood and its closeness to parks, schools, community centers and other features. The Neighborhood Slow Streets program is part of a much wider initiative the city is working on known as Vision Zero. It didn’t start with Boston, but city officials have embraced it and are hoping that within the next 13 years – by 2030 – Boston will be totally free from traffic fatalities. That may sound like a pipe dream, but with the proper mix of precautionary road design, traffic violation enforcement and education, it is plausible. Other communities have seen substantial gains by their participation, and are well on their way to this goal. Just in the City of Boston, there were 23 people killed while cycling, walking or driving/ riding in a car in 2015. There was a major improvement to this last year, with officials reporting no bicycle-related deaths in 2016. However, there were 7 drivers and at least 14 people on foot died as a result of injuries from crashes across the city. That includes collisions on both residential and public streets. We reduce the actual number of crashes, because drivers have greater control over their vehicle at slower speeds. We reduce the severity of the crashes that are occurring, because crashes at slower speeds are not going to result in the same level of injury. We are going to make roads more inviting for people who are bicycling and walking. That in turn improves both our health and our environment. Several students interviewed said they were hopeful the initiative would improve safety around campus and throughout the city, though they stressed the need for traffic enforcement and ensuring that fines and penalties for reckless drivers were adequate to deter dangerous driving behavior.